Though playing no direct role in the forthcoming creedal developments, it would seem to me that Ignatius provides the ground work for such debates. 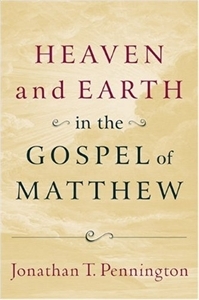 He appears to be countering a docetic background (i.e., Jesus only appeared to be human) because he emphasizes Jesus’ human decent matched with Divine elements. The orthodox creeds could find seminal form in Ignatian Christology. As mentioned in Ignatian Christology: Part I, this is a non-scholastic description of Ignatian Christology. The following are beginning thoughts and a running commentary on a passage involving the Trinity and the Temple. One helpful aspect to reading the Apostolic Fathers is their imaginative explanations. They create imagery with their explanations, and Ignatius’ Letter to the Ephesians is no exception. Below is a small passage highlighting why we ought not to be deceived by “evil doctrine.” The Trinity, and our faith and love create a cultic image whereby Christ is the mechanism constructing us into a temple. Ign.Eph 7–9 seem to indicate a central idea of avoiding or being aware of evil men and false teachers. Ignatius praises the church (9.1a) because they did not allow the men with evil doctrine to be sown among them. The subject is “you”. Ignatius provides a list of four appositives to further define the hearer: being stones, prepared beforehand, those hoisted up, and making use of a rope. The following is a brief clausal diagram demonstrating the relationship between clauses. (j) ἡ ἀναφέρουσα εἰς θεόν. This Trinitarian expression includes cultic overtones (i.e. a Temple). The people serve as stones for the temple, of which the Father has prepared before hand. Imagery of the cross is then symbolized as a crane (μηχανή). This crane is potentially mirroring a Gnostic background, but “his allegorization of the material robs it of its Gnostic overtones or at least significantly mutes them.” Regardless of a Gnostic background, symbolism of the cross was commonplace among apostolic literature. This crane, possibly, may symbolize the later use of the term as a ships mast. This crane, known to Ignatius, could have had two elements: two upright pieces of wood, held at an angle by pieces of rope, and a rope for lifting stones, most likely with pulleys and wheels. The following phrase, ὅς ἐστιν σταυρός, aids the mind of the reader to properly observe this crane imagery as the cross of Christ. The assembly of this crane needs rope not only to prop the crane upright, but also involving a pulley system to move stones. The rope, then, as Ignatius continues to bolster this creation, is the Holy Spirit. The participle “making use” (χρώμενοι) uses a dative as its object “rope” (σχοινίῳ). Being separated by the verb, the second dative phrase is in apposition to the first: the rope is the Holy Spirit. Ignatius’ imaginative vision is a temple and all its components. The reader is stones and in order to be part of the temple, the crane (i.e. cross of Jesus), serves as the support beam to lift up these stone to the heights. The rope, possibly a pulley system, is the Holy Spirit moving you into place. The way there is by means of faith and love. Schoedel, Ignatius of Antioch, 66–67. Justin Martyr, in his First Apology, has a section on “symbols of the cross” whereby he has imagery of a ship and others. 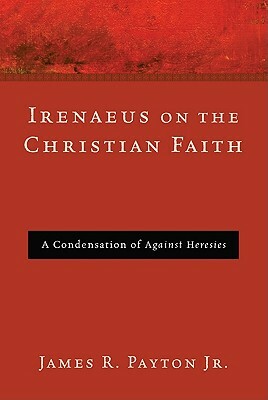 Alexander Roberts and James Donaldson, eds., The Apostolic Fathers, Justin Martyr, Irenaeus, The Ante-Nicene Fathers 1 (Grand Rapids: Eerdmans, 1956), 181–82. Schoedel, Ignatius of Antioch, 67. Ignatius is an early Apostolic Father. He was eventually martyred during the reign of Trajan (98–117 AD) and interacted with another Apostolic Father, Polycarp. Unfortunately, we only have a small collection of his final letters, most likely written during his final couple of weeks pending martyrdom in Rome (Holmes, Apostolic Fathers, 166). We currently have seven letters written to churches, Bishops of specific churches, and individuals. They are written To the Ephesians, To the Magnesians, To the Trallians, To the Romans, To the Philadelphians, To the Smyrnaeans, and To Polycarp. Over the course of church history, there have been three different textual recensions of these letters. The first recension (i.e. the long recension) involves the original letters, though expanded, and an additional six spurious letters from the fourth century. The second recension (i.e. the short recension) is in Syriac and abridges the letters to Ephesians, Romans, and Polycarp. The third recension (i.e. the middle recension), known to Eusebius, preserves what we currently have today in most Apostolic Father collections. (All material taken from Holmes, Apostolic Fathers, 171).